The audience and contestants on the Dance Plus 2 sets were overwhelmed with their presence. 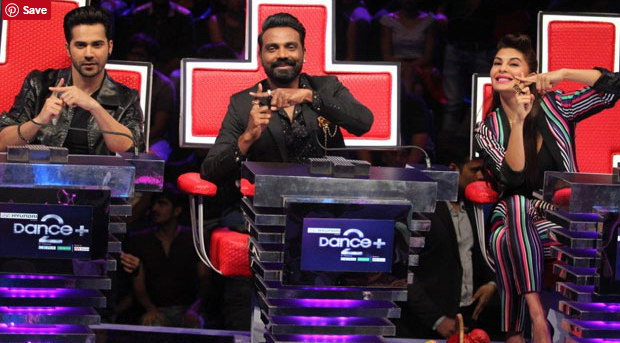 The Super Dance Judge of the show, Remo D’Souza even rolled a few steps the stars. You can take a look at those pics right below. Coming to the more news of Dishoom movie, the film is ready to hit the theaters on this July 29th. Recently a new song, Jaaneman Ah was released. This one has Parineeti Chopra in it that too the ripped version of Parineeti Chopra. Parineeti with abs and grooving some steps Varun will definitely make audience ravenous for the film’s release. Parineeti Chopra also revealed that Varun Dhawan helped her a lot in her transformation from a bold beauty to a zero figure. Pritam composed good songs for the film. John Abraham isn’t seen yet in the promotions. May be he too will come out as the release date approaches. Dishoom is an action entertainer. John Abraham and Varun Dhawan as protagonists, Jacqueline Fernandez will be playing the role of a spy. What excites everyone is the Antagonist, Akshay Khanna. He was not seen for a long time and he comes up with a brilliant role to play. Since the script revolves around John and Dhawan chasing Akshaye Khann we can expect a lot of high end action from the movie. Varun Dhawan’s brother, Rohit Dhawan will be directing this film. We have already seen his work is Desi Boyz. He truly knows how to excel. Now that film will hit the theaters in just two weeks, Stay tuned to get your eyes on Dishoom review, rating and also box office collection updates.